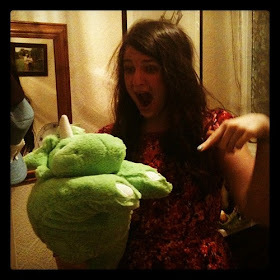 t*rexes and tiaras: Friday Favourites 147.. There have been two things this week which have made me squee with joy. Well, three if you include the fact that a delivery of donuts is on it's way to me to cheer me up - eep! 001: I couldn't be a bigger minion fan, really. I can't even count the number of times I've watched Despicable Me; it's just so awesome. So, when I discovered that Tatty Devine were doing a minion collaboration I was super excited. 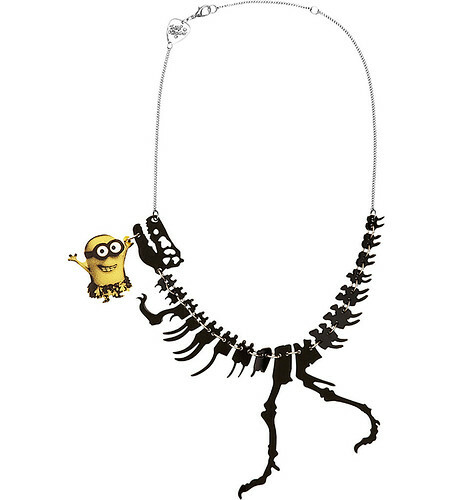 I have been longing for a Tatty dinosaur necklace for just about forever and a minion one would frankly be even better. 002: The Limited London collection at Marks and Spencer has got so many fabulous statement pieces in it. 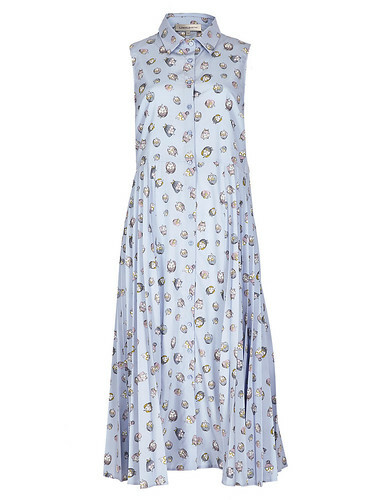 This face print dress is my favourite. 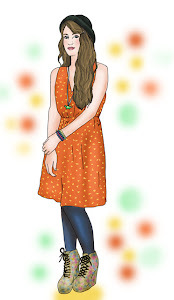 I can imagine it being perfect for summer with a pair of strappy sandals. Seen anything amazing this week? I love them! Can't wait to go see the movie when it comes out. It's okay, I really like it but I know it's not everyone's cup of tea.